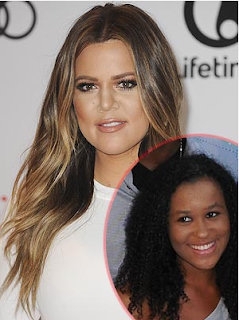 Lamar Odom is demanding his daughter Destiny apologize for slamming Khloe Kardashian online. Khloé Kardashian may have officially filed for divorce from her husband of more than four years, Lamar Odom, but he still has her back—against his 15-year-old daughter, Destiny! Earlier this week, the teenager took to Ask.fm—a social-networking site in which users ask and answers questions (some of which have been submitted anonymously)—to express her feelings about her father’s divorce from the reality star. Destiny took the opportunity to blast Khloé and articulate her excitement about the marriage ending. The insider added that Lamar said he asked Liza Morales, his former partner and Destiny’s mother, to get the teen to apologize, but to no avail. Liza defended her daughter and refused to make Destiny apologize for speaking her mind. Another user asked Destiny if she thought Khloé and her father would get back together; not only did she say no, but she added that she was hoping they wouldn’t because now she has her father all to herself. According to the insider, Lamar has no intentions on returning to the East Coast to spend Christmas with his children. She was being a teenager. More specifically, a teenager that is not fond of blended families. I don't know what Destiny said, but Lamar needs to explain to his own daughter why her comments were inappropriate instead of getting mommy to make her apologize. WTF is wrong with him?